Ivan Demidov was born in the year 1981 and his hometown is Moscow, Russia. He is known for finishing second to Peter Eastgate in the 2008 World Series of Poker (WSOP) Main Event and winning $5,809,595. His second finish in the Main Event was not a one hit wonder, as he also made it to the final table at the 2008 WSOPE Main Event that was held in London, England and eventually finished the tournament in 3rd place. Believe it or not, he has made a record by doing so as he is the only player that made it to the final table in both WSOP and WSOPE Main Events. As of 2009, he has won over $6,450,000 in live tournaments only. 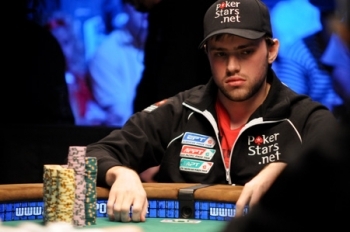 Prior to the 2008 WSOP Main Event, he made his bankroll playing online and to this day, he still plays online and focuses much of his attention there. He also enjoys skiing and scuba diving. He is a young and rising star in the world of poker, so keep in mind that you will hear about him much more in the upcoming future.